From our perspective, Design for Excellence (DfX) goes beyond the traditional scope of cost reduction by applying Design for Manufacturing and Design for Assembly. Using an end-to-end approach, we have identified additional methods for significantly reducing cost and incorporated these into our DfX methodology. 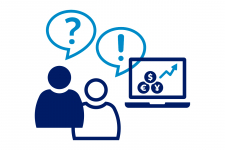 This comprehensive methodology paired with our unique set of competencies allow us to help our customers drastically reduce their total cost of ownership for new and existing products. How is Design for Excellence performed? The Design for Excellence (DfX) methodology incorporates a broad range of perspectives and tools. This approach was not created in a Big Bang but is the culmination of decades of real-world experience and the result of experiments, mistakes, insights, failures, and successes. At Operational excellence, a service of Industry consulting, we have taken part in this journey that has resulted in an exceptionally effective approach to reducing product cost and increasing value. The journey began in the 1960s. In those days there was a strong focus on improving product designs to make them suitable for operations. This resulted in the popular Design for Manufacturing (DfM) and Design for Assembly (DfA) methodologies and the many books and tools to support them. To stay competitive, Philips focused heavily on these areas. Coordination of all these efforts was done at the Center for Manufacturing Technology (now known as Philips Innovation Services). They acted as a knowledge hub and trained many DfM and DfA specialists. 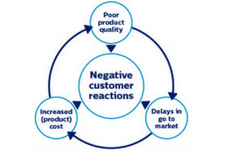 DfM and DfA were applied alongside techniques like Value Analysis (VA) and Value Engineering (VE) to reduce costs during product development and engineering. But they were also applied after release-to-market, not just to do ‘cost downs’ but also to create a feedback loop of learning to developers, so that future products are designed in a ‘first time right’ way. In fact, what was really happening was that development was incorporating manufacturing requirements early in the design. This is, however, valid for many more disciplines. So over time new ‘Design For’s’ were introduced: Design for Reliability (DfR), Design for Supply Chain (DfSC), etc. 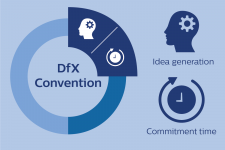 To group all these different disciplines we started calling them DfX, where X stands for the different disciplines. The next step was to get multi-functional teams to look at the current products to reduce costs and increase value. The teams would, in a high-pressure time-boxed approach, take a holistic view across the entire value chain. So teams were no longer looking at product cost and value, but at all costs to the company and the customers, and at how the product design influenced these costs. The teams would look at first and second tier suppliers, but also at costs of logistics and warehousing, costs and value of the variety of the product mix, cost of use, and cost of maintenance etc. All of this based on real data so that difficult but valuable trade-offs could be made. As the term Operation Excellence became popular, more and more people started translating the term DfX into Design for Excellence: a focused approach which centers on cross-functional teams, executed in a rigorous format, and supported by an extensive set of tools. The objective of a DfX project is to unlock product cost reductions, by looking into the way a company designs, makes and delivers products and solutions, challenging all aspects of the value chain, leaving no stone unturned. This is accomplished through a series of workshops led by DfX coaches that generate new insights and ideas using a variety of techniques. Our experience across many DfX projects shows that Design for Excellence can provide much more than just cost reduction. This is done by applying all the techniques developed over many years such as methodologies like Design for Manufacturing and Design for Assembly, complemented with newer tools such as Stakeholder Mapping and White Spot Analysis. Furthermore, looking end-to-end across the entire value chain we observed that many more competencies can bring benefits to the DfX approach. Ideation – a structured idea generation approach, which is one of the most important elements of Design for Excellence. Product architectures – we help to create a sustainable advantage for future products by applying our competence on creating product architectures, where we relate product features with market needs, manufacturing capabilities and supply chain options. Lead innovation – by deploying Lean principles we help our customers to see and remove waste and to establish a culture of continuous improvement, needed for a sustainable process of introducing new products to the market in an effective way. Open innovation – next to using one’s own capabilities only, you can make use of a wealth of ideas surrounding you at universities, suppliers, forums, etc. By applying open innovation approaches you can benefit from these ideas. Design for Six Sigma – this is a proven practice to structure your product development using for example critical to quality parameters, and to rigorously reduce variation in products and processes. So, going forward, Design for Excellence can be seen as an overarching methodology where many approaches come together to help companies to be profitable, now and in the future. 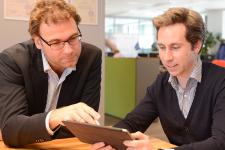 The broad set of competencies in Philips Innovation Services makes us an ideal partner for you. 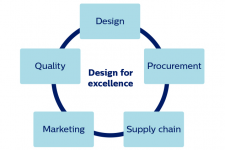 Design for Excellence is one of the focal areas of Industry consulting, one of the eight key areas of expertise of Philips Innovation Services. We have a team of seasoned business and industry professionals. With a hands-on approach and expertise, we create tangible results that last: we are implementation-oriented. Working closely together with your employees, we create an on the job learning setting. This enables your organization to strengthen or develop its own ‘continuous improvement’ culture. 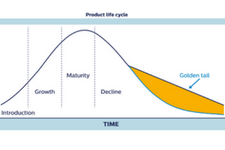 Key to a successful product life cycle strategy is: clear goals, mandate, timeboxing, dedicated team, proven tools and methods, and quick market validation. 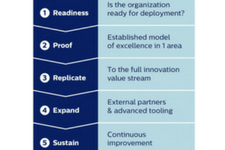 How to apply Lean during product development and set-up a Lean innovation deployment program. 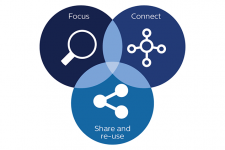 Accelerate innovation using a strong content driven approach? 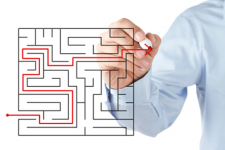 Implement Design for Six Sigma! A convention is a way to radically reduce costs and improve quality. Read how!